Never worry about a pH crash again! 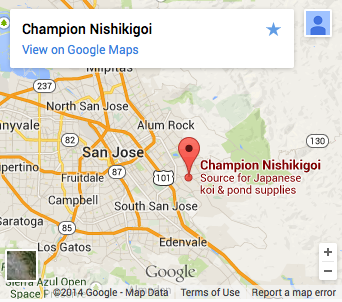 How much pond water will this product treat per pound? There is no set amount of Buff-it-Up that should be used for all ponds. As we all know, no two ponds are the same when it comes to the carbonate hardness (KH) of their water. It could take two cups of buffer for my pond to hold a safe pH and it could take four cups or more of buffer for yours to hold the same pH. Beware of so called buffer products that say "the contents of this jar will treat X amount of gallons'. How does any manufacturer know the KH level in your pond"" What we can tell you about Buff-it-Up is, that it will hold your KH level much longer than other KH buffers on the market! Buff-it-Up was tested against the leading pH buffers and Buff-it-Up held the pH and KH of Aquarium water five days longer than the leading pH buffer on the market. 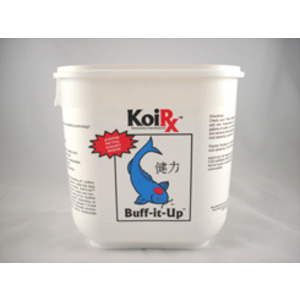 Buff-it-Up is a pH Buffer, a KH - carbonate hardness builder and non phosphate buffer that will maintain the ideal pH in your Goldfish and Koi pond, while not enhancing algae growth. Depending on dosage, Buff-it-Up raises pH and buffers between 7.4 and 7.8. 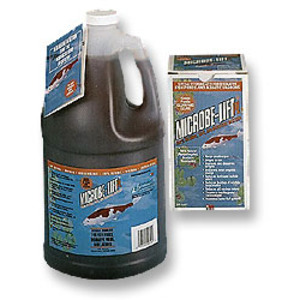 It is gentle, safe, and enhances the freshwater environment. Is this like, "new" or something? Answer: Yes and no. pH Buffers have been on the market for probably three decades. They've been as simple as baking soda, limestone, crushed coral, and as complicated as'Kalkwasser". This is the product (Buff-it-Up) that falls somewhere in between. 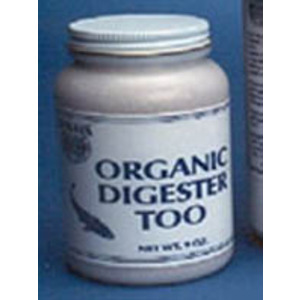 A comparable product currently sells at about ten dollars a pound in small containers. For pond people, they want more, for less. Our price on Buff-It-Up puts it right at about six to seven dollars per pound, and it lasts considerably longer in the system than any other buffer. This is nothing but baking soda, isn't it? Well then it must be plain old limestone. Right? Limestone has been used as a buffer with success. But Buff-it-Up is not limestone. In fact, no limestone is used to make Buff-it-Up. Limestone is a mixture of calcium and magnesium carbonate. The primary stabilizing ingredient, among others, in Buff-It-Up is Calcium carbonate only. 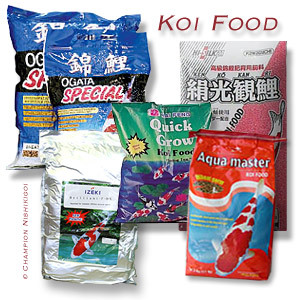 This is the more bio available carbonate for aqua culture and for beneficial bacteria. There is very little magnesium carbonate in Buff-it-Up. Pure chemicals in reagent form were used to manufacture Buff-it-Up, this was to ensure that your water would experience minimal clouding after application, and support it's best selling point, IT SUPPORTS PH FOR A LONG LONG TIME. Will it cloud my water for a week? No, it won't cloud your water for a week. It might cloud your water slightly for a day or less depending upon how much Calcium your system needs, and how good your filtration system is. Some people experience no clouding; by putting the Buff-it-Up directly into the "filter intake" in a gradual way over a few hours. To have a truly soluble Calcium carbonate, some clouding is inevitable. Can it hurt my fish? Sure can. Just like any other buffer containing minerals and carbonates...We won't kid you, and we don't want you to hurt your fish. You could probably kill your whole collection with it if you were incredibly careless. Is this any different than any other buffer" NO. If you live in the south west, and have very hard water and a high total alkalinity, say; over three hundred ppm, you could harm the fish by using Buff-it-Up or any other buffer which pushes alkalinity or hardness over these ceiling numbers.